This Baked Salmon with Crispy Lemon Garlic Topping takes only 10-15 minutes to make from start to finish and is bursting with lemony crispy flavor! Mix things up for breakfast with this Spinach Sun-Dried Tomato Omelet! Spaghetti Squash with Spinach and Sun-Dried Tomatoes is a quick and easy vegetarian meal perfect for busy week nights! 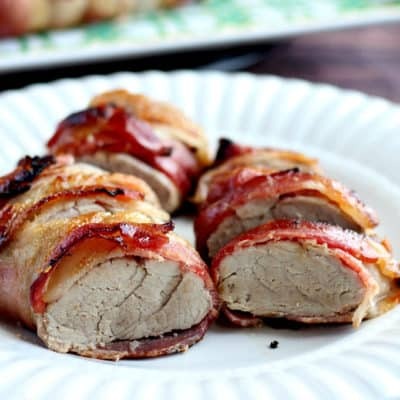 Bacon wrapped pork tenderloin sweetened with brown sugar and honey! 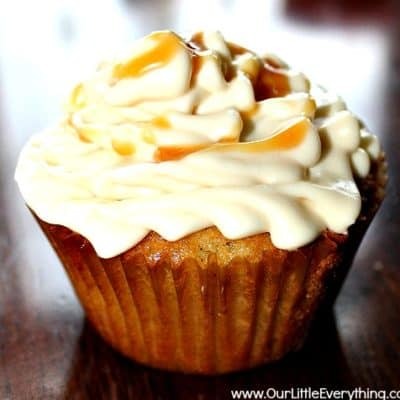 A simple, easy recipe for a delicious Vanilla Caramel Icing! Mini Apple Pie Delights are quicker to make than traditional apple pie, yet still super delicious!